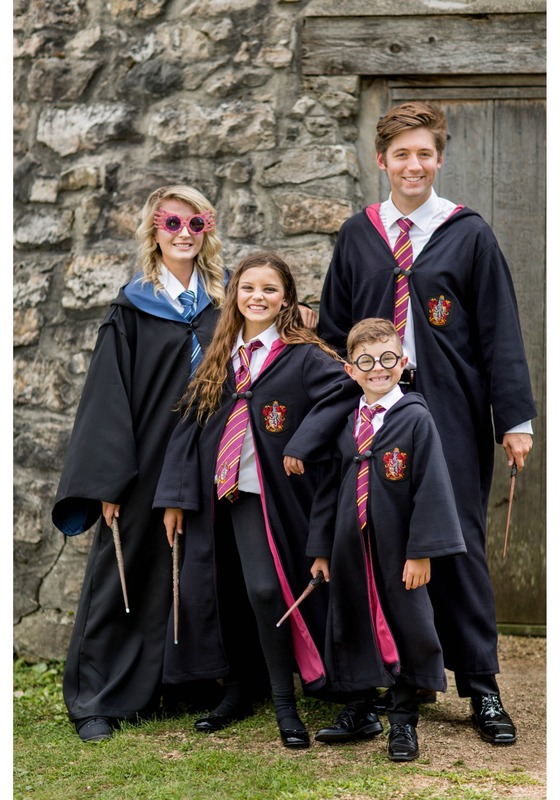 Ever since the revelation of Hogwartz’s existence came to the muggle world through a series of books, we’ve all been waiting for our post-dated and owl-toted envelopes, revealing us to be a wizard and inviting us to join the magical school. 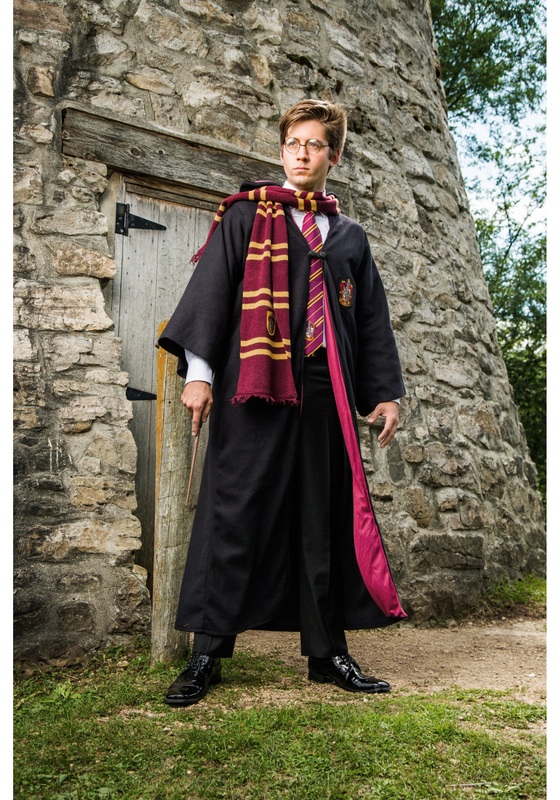 We’ve given some pretty serious thought about where the Sorting Hat would place us and taken no small number of online tests to help us prepare. 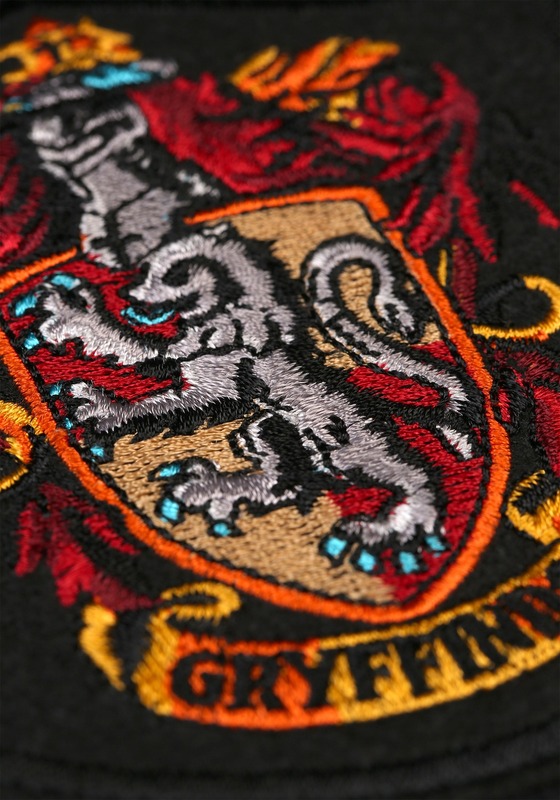 Shall we be wearing red and gold, green and silver, blue and bronze, or yellow and black over our wizarding smock? Will we need to get a ticket to London to transport ourselves or are there additional portals of access… or even more schools than have been mentioned in the texts!? Just how big might the wizarding world be!? 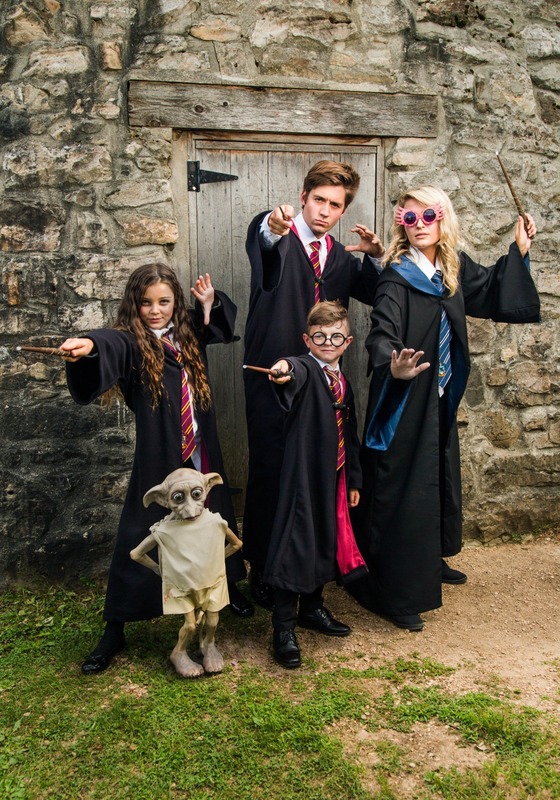 Any invitation to join the wand-wielders and potion-brewers is likely a splendid enough one, though the media so far has given us such a limelight view of some pretty major names. 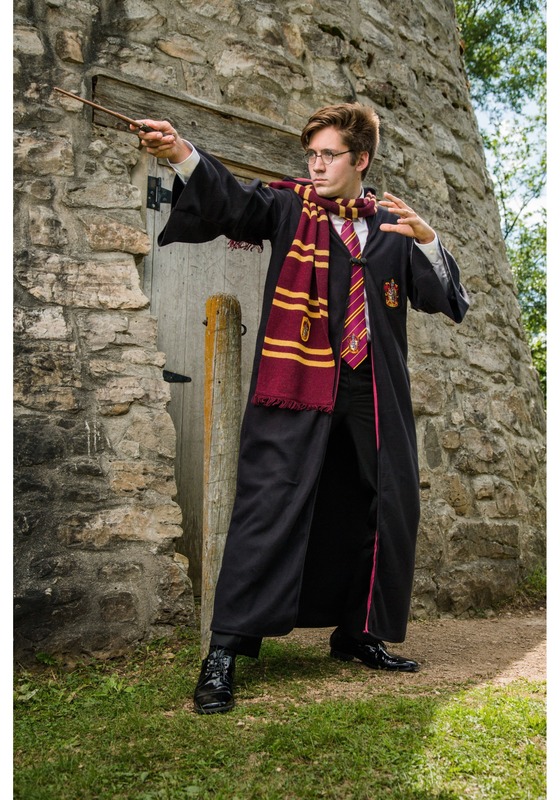 We’d certainly not say no to an invitation to join a small wizarding college in the middle of nowhere that not even the wizarding world has heard of, but it would leave any of us admittedly a bit saddened not to be part of the illustrious Hogwartz… despite the many and frequent troubles that they’ve been through. 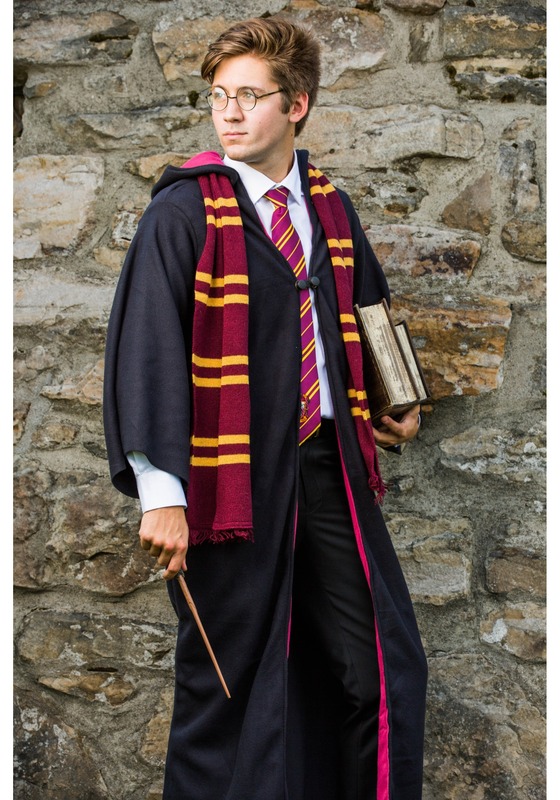 Either way, you need not wait any longer for the owl to arrive with your letter because you can step into the role of the very Boy Who Survived, himself, with this officially licensed Adult Deluxe Harry Potter costume. 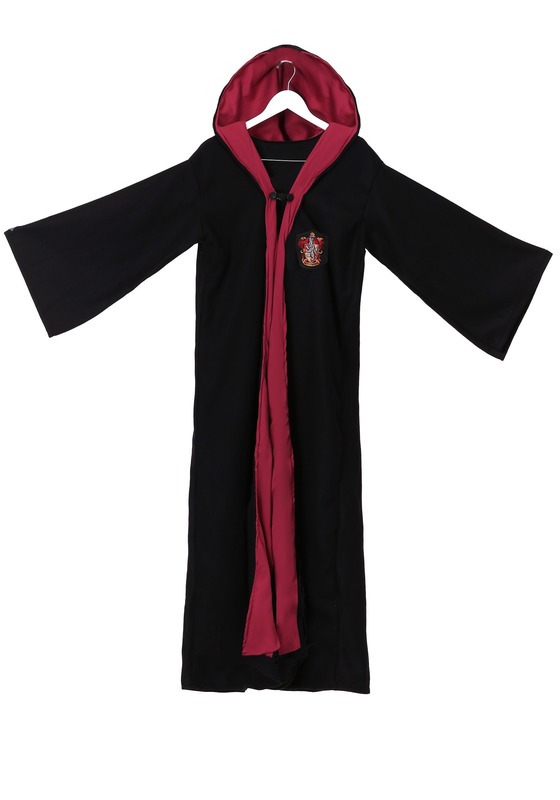 The hooded black fleece robe has luxurious maroon facings and hood linings as well as the courageous Gryffindor emblem embroidered on the left breast. 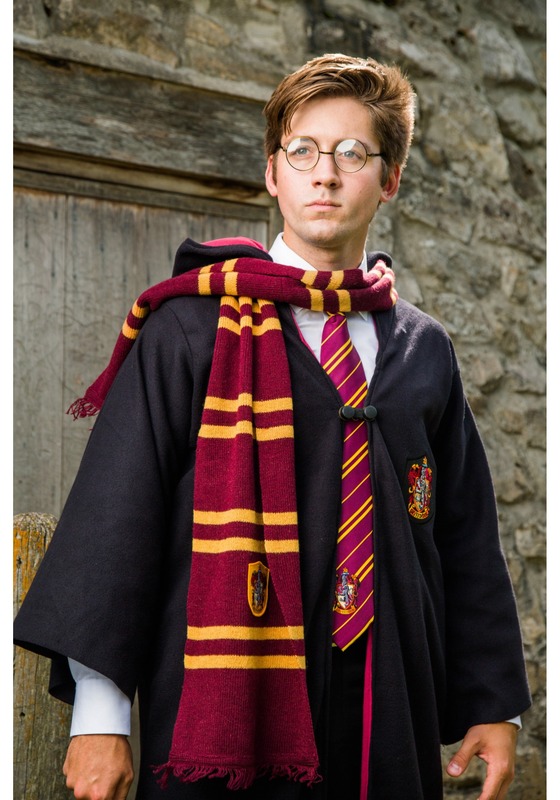 No wizard would be complete without their marking scarf and the perfect wand, so be sure to acquire those from Ollivander (or our own accessories department for your convenience).